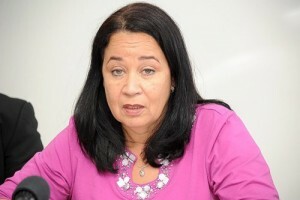 WILLEMSTAD - Margit de Freitas was dismissed as Director of the Educational Loan Foundation (SSC), which is the foundation that finances the higher education of local students. The Minister of Education, Marilyn Alcala-Wallé already suspended her a few weeks ago. One of the reasons for her dismissal was the big waste of funds in the organization. Particularly the excessive spending on collection agencies, consultancy fees, and legal costs. She also paid her party colleague, Marvelyne Wiels, 66,000 guilders for an internship at the SSC. Wiels received this payment while she did not even attend a college at that time.